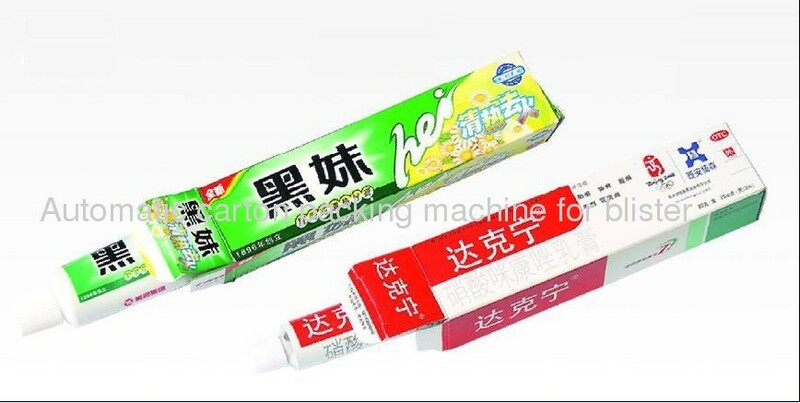 Rui'an City Jiade Packing Machinery Co., Ltd is mainly engaged in packing machine, pharmaceutical machine and food packing machine (main product: JDZ-120 medicine plate cartoning machine, JDZ-120 medicine bottle cartoning machine, JDZ-120K needle cartoning machine, JDZ-120D granulator cartoning machine, JDZ-120G ointment cartoning machine, JDZ-100 soap cartoning machine, JDZ-100P medicine bottle cartoning machine, JDZ-90 medicine plate cartoning machine), our company takes up 3000 square meters, sale is about RMB 20 million, more than 70 staffs, with function of scientific research, development, production, distribution and service. It owns high technology, advanced manufacturing facility, reliable quality and good after sale service to insist carrying out ISO9001:2008 international quality system. 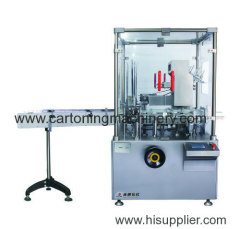 This machine is suitable for cardboard cae packaging of tabe toothpaste. onintment . and soft package(packed condoms). it consists of direction folding (1-4folds) and feeding equipment, cardboard case forming and feeding, batch number printng, sealing of case tongues at both end etc. The whole encasing process is finished automatically. It can be added hot-glue machine.